In the ’70s in Los Angeles, La Llorona wanders around in the night looking for children. 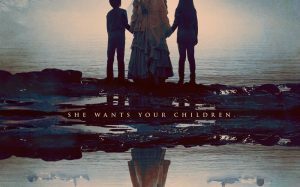 A social worker does not take seriously the disturbing warning of a mother suspected of having committed violence against her children, and it will soon be her, together with her children, to be sucked into a frightening supernatural realm. The only hope of surviving the mortal wrath of Llorona could be a disillusioned priest and the mystic who practices to drive away evil, where fear and faith meet. Watch out for its chilling moan … it will stop at nothing to attract you into the darkness. Because there is no peace for his anguish, there is no mercy for his soul. And you can not escape the curse of Llorona.